Your online leader in sales of Lexus parts! We have been selling Lexus parts online since 2004. In those years we have sold to over 100,000 Lexus owners! We have a complete online catalog of Lexus parts at the best prices. You can either use the drop down boxes below to access your vehicles catalog or if you have a specific part number, you can just enter it into the "Search by Part Number" box above. We sell only genuine Lexus parts! No aftermarket or used parts here, just brand new OEM parts. Remember, left is drivers side and right is passengers side when it comes to part description. If you have any questions, please contact us. Thank you for visiting MyLParts.com! MyLparts.com is a Lexus OEM parts online catalog. OEM? What is OEM? OEM stands for “Original equipment manufacturer”. Well, what does that mean? This means when you purchase a Lexus OEM part, you are purchasing the exact part that was on the vehicle when brand new. Lexus parts OEM can only be purchased through a Lexus dealer or from a Lexus OEM parts catalog that is found online like MyLparts.com. Many companies advertise OEM Lexus parts online, but in many cases they are OEM like. They are not true genuine OEM Lexus parts. 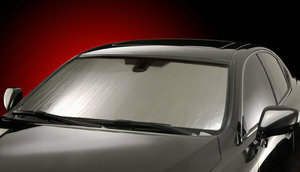 Genuine can also be a key word when purchasing discount Lexus OEM parts. Many online sites like MyLparts.com offer a Lexus parts catalog that will feature a Lexus OEM parts diagram. This is especially helpful for specific car models, for example when looking for Lexus IS300 OEM parts. Diagrams make it helpful to locate Lexus ES300 parts. MyLparts.com is here to help you find Lexus parts online OEM. If it’s Lexus Performance parts you are looking for, you can visit our sister website www.Lpartsworld.com. Both sites offer genuine Lexus parts. 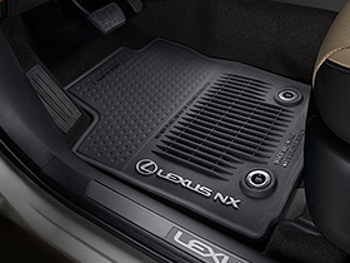 Lexus car parts can be difficult to find outside your local dealer. Lexus IS300 parts are some of the most popular Lexus replacement parts purchased from our two sites. We also offer Lexus body parts. Unfortunately large body parts are not a Lexus part we can sell online due to size and shipping restrictions. Some of these parts we cannot sell online are Bumper covers, fenders, doors, hoods, quarter panels and radiator supports. These usually will need to be purchased from a local Lexus dealer. MyLparts.com is one of the largest Lexus parts catalog online. We specialize in Lexus online parts. We are an actual Lexus dealer in Northern California selling Lexus auto parts online. We have been in the internet sales business for over 8 years and ship all over the country to customers who want to buy Lexus parts online. We have an in-depth Lexus parts catalog online. If you ever have any questions about the genuine Lexus parts online that you have found in our Lexus online parts catalog, you can just call us at 916-677-8813. Matt and Jeff are available to help you find the correct Lexus online parts. MyLparts.com is a leader in OEM Lexus parts online sales. We have competitive pricing on all of our Lexus OEM parts online. 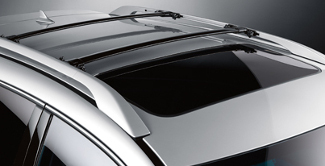 Our genuine Lexus parts online cover all Lexus models from the ES250 to the latest CT200h. Our goal is to provide the best service and highest quality Lexus parts online OEM.